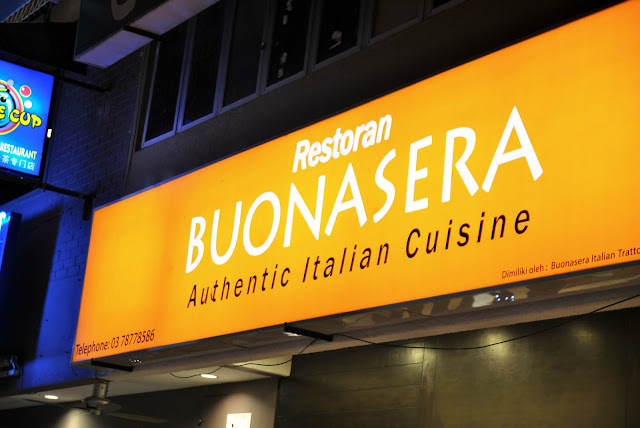 Restoran Buonasera - Authentic Italian Restaurant. 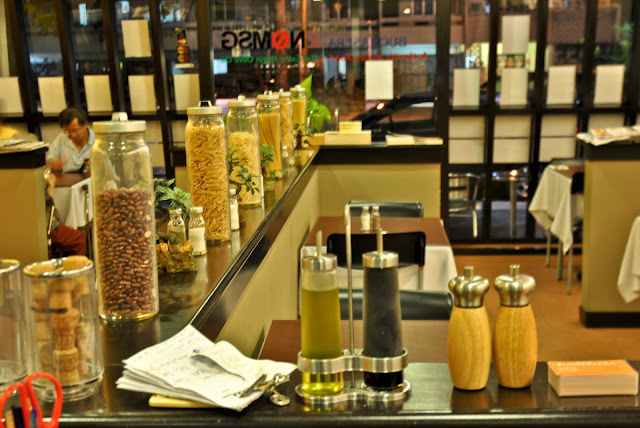 This place is healthy in the sense that they replace MSG with extra virgin olive oil. 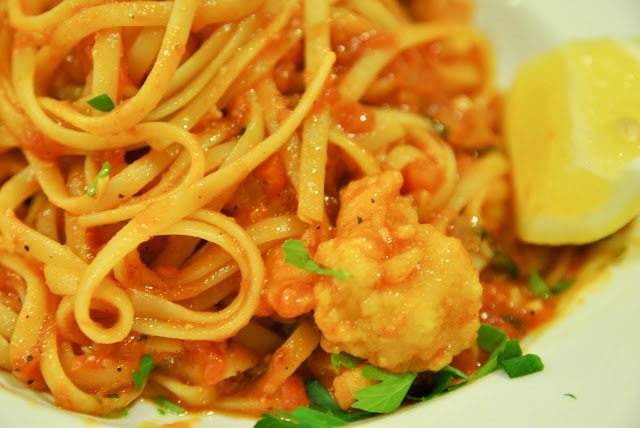 The chef specialty - Enzo Buonasera Special. 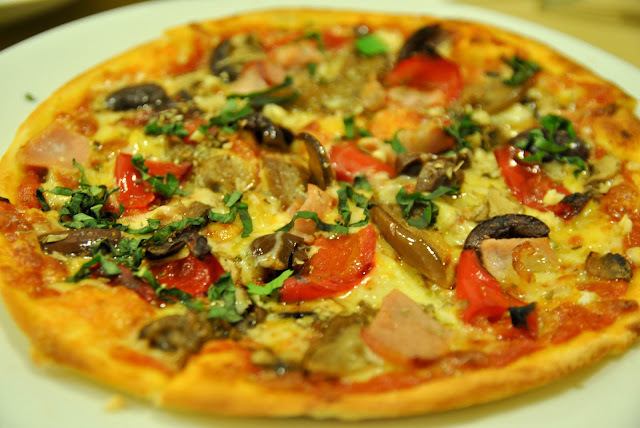 Topped with tomato, mozarella, pork bacon, egg plant, roasted capsicum, marinated olives, mushroom, onions, and fresh basil. 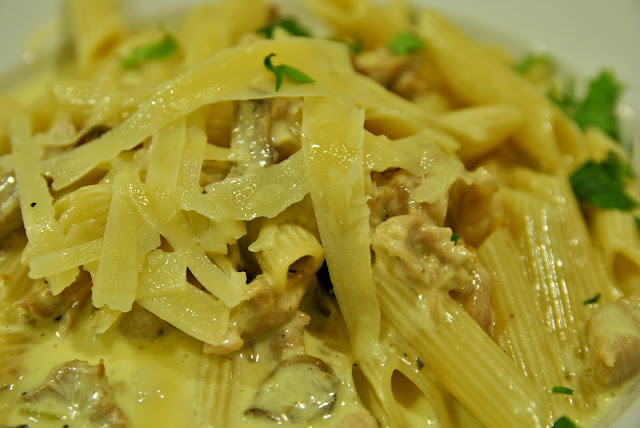 The penne alfredo (RM28.90)- Roast chicken, white wine, mushroom, onions, fresh herbs cooked with cream sauce. The shredded cheese in fantastic. 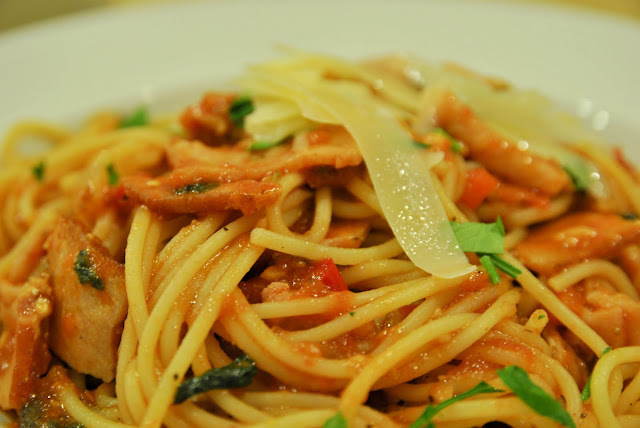 The spaghetti amatriciana (RM29.90)- Pork bacon, fresh chilli, onions, roasted capsicum, and pink pomodori sauce. 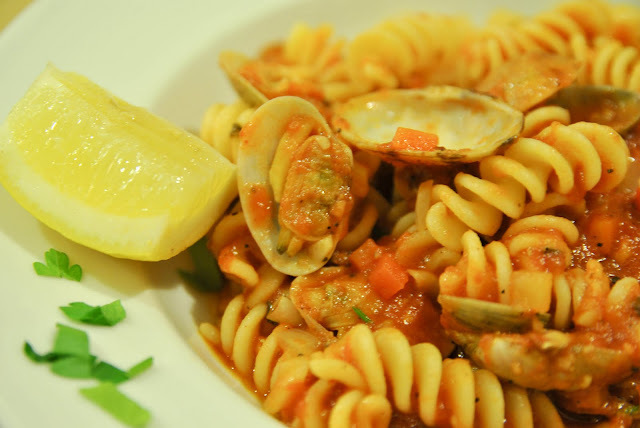 Seafood fusilli (RM33.90) - Cooked in white wine and pomodori sauce. The setting of the restaurant. 42 (ground floor), ss2/66, 47300 Petaling Jaya, Selangor. eh, i baru makan here other day.. dam disappointing man... i dunno why lah, but the food worst than average.. i order same pizza and pasta as u.. quite expensive somemore.. for the same price can eat prego at westinn man..